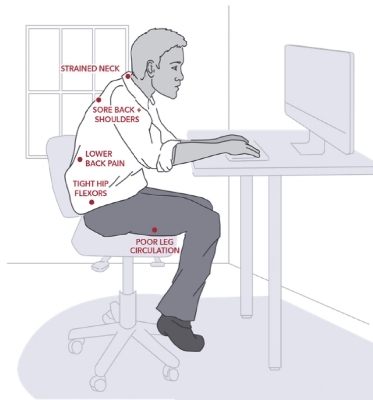 The average corporate worker can spend up to 15 hours of the day in a seated position with research showing that prolonged sitting may increase the risk of some health conditions. The MoveWELL program is designed to relieve sedentary lifestyle pressures, symptoms and health risks by rebalancing your posture, to help you move, perform and live better. All class sizes are limited to 8 participants ensuring personal attention and detailed safe instruction. Pricing: an introductory offer of $250 is available at present for unlimited classes for the six week period (regular price $299, unlimited classes for 6 weeks). DON’T JUST SIT THERE: MOVE!